Overall this is a good phone. Pitty it's no longer manufactured. 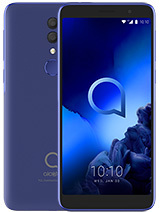 Try sending a mail to your countries local Alcatel importer... if that won't work try and contact me I will see if I can help. 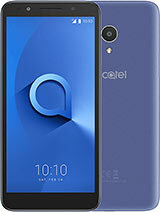 Actually TCL never answered me regarding the Alcatel issues. Their customer service must still be in a starting era. 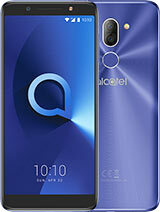 is it me or it is alcatel that are careless , i sent them 3 mails but never got a reply!!! posted friday 8 september by solid vision, the repair center in holland. 1 - think there is someone from Belgium asking about it in the forum. Mobistar company sells ot-s853 pack, but this specific gsm is not compatible with one of the gsm networks here in belgium - BASE, some issues with software used in their sim cards. just a warning, but they will tell it in advance in every shop. besides that, the gsm is not locked and can be used with most of the sims around the world. am a total dodo about this stuff, but seen a lot of talks about firmware upgrades and similar... if someone can please explain to me what is it all about, how to check the version, how to update... am in belgium if it means anything about the question. 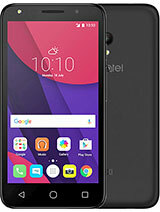 i really love the phone but it somehow seams slow sometimes, so wondering if that might be due to the firmware or whatever. To Jay, what is the latest firmware version in the Philippines now and how does it work? Is it already bugless; no more hang up? no more other problem as complained by previous users here? Thanks. wow! i have used the phone as a gprs modem and i freaking works! it beats the wifi from coffee shops such as starbucks! and whats great about it is my network only charges 10pesos per 10mins. now i can surf,check my mail,chat etc anywhere using my laptop connected to my phone. as long as there is a signal from the network. imagine working and checking your mail from you boss while sitting on a beach...wow! 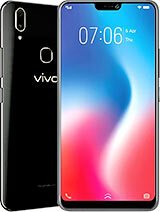 fantastic phone! Can you imagine yourself telling an important business contact: wait a minute, I will put you on hold as I have to order some coffee. It's a matter of habbits of course, but I never missed this function and I never had a thought in my mind to miss smth like that. 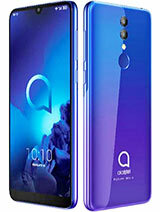 In fact, the main problems about this phone go back to its cut-off Bluetooth connectivity and some bugs in previous models. Certainly not about the lack of charging via USB interface or missed mute function. Sorry lad, that's just an opinion, nothing personal. gue ude dapet OT-S853, biasa... barang BM. its very good, but still 164 version. for minimize the bugs, i am always push imei code *#06* anytime. Now, this phone not slow and no bugs again. Protel has great service, no matter what breaks on the phone they will fix it during their 2 year service deal, unless ofcourse the damage is due to sloppy handling by its user. I have not idea how Dectel is when it comes to service... I would enquire with both shops and ask them how they would deal with you when you would be forced to send the phone back. Heaven forbid but just in case... also one tip... when buying the phone... you could be asking them to make sure that the latest firmware is preloaded on it... so you won't need to send it back. 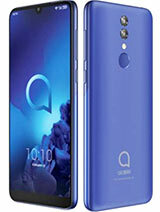 To the Alcatel user in the philipines, go back to the shop and ask them to replace your firmware, they will take your phone back and send it of to be updated. Knigh thanx, but one more question. The one from dectel (belgium) has the same firmware as that from protel? (want no operator lock...etc)Gimme please advice which one is better to buy. Woops, another mistake from my side. There isn't any sim-card included with the package 'cause it is forbidden by the Belgian law (in dutch: de wet op de koppelverkoop) so there won't be any simlock on it either. Can somebody please answer to my question in my previous post?